Choosing a home heater may not be an easy ride to all considering the technical aspects required when choosing the right home heater. 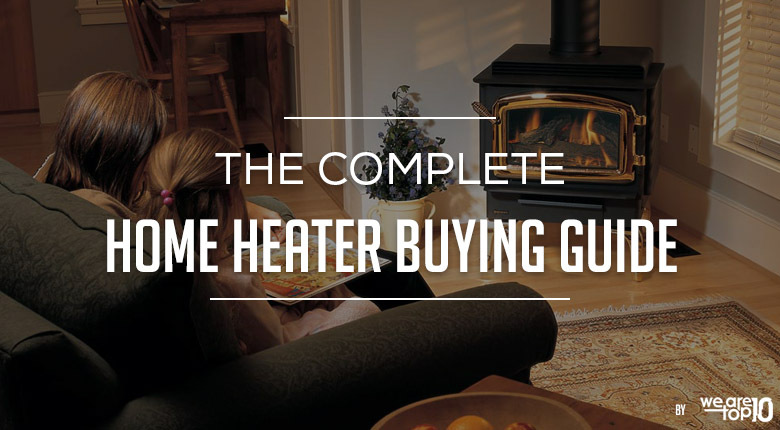 The market provides a wide range of home heating appliances which gives the buyer the freedom to go for the best alternative that will suit their needs. Although cost and efficiency are the major determinants, important aspects such as the availability of energy sources and the working space should be put into consideration among others. This guide aims to equip the buyer with all the necessary information that they require when it comes to making this important decision. The heater should provide safety features especially where pets and children are involved. The heater should also have a mechanism that can shut them down in case of overheating. If it is an electric heater ensure that it has a plug that is ground fault protected. When heaters are not handled well, they can pose a risk of electric shock or even cause fire. The first thing you need to determine is the best heater that is suitable for your space. While there are several styles of heaters, there are mainly three technologies of heating: radiant, micathermic, and convective. Convection heaters provide whole-room, even heating; radiant heaters give spot and quick heating in spaces that are small while micathermic heaters give widespread, fast heat while at the same time saving space. Selecting the heater that is appropriate for your application ensures effective performance. You will need to consider the space that will be covered by the heater. This is determined by wattage rating of the heater. Generally, each square foot of the room requires a heating power of 10 watts. Hence, a typical heater of 1,500-watts when used as the primary heat source will cover rooms of around 150 square feet. However, this is a rule of thumb not applicable to all models. Depending on the indoor environment, heating technology, and the application, more space may be covered by portable heaters. Similar to other electrical appliances, most portable heaters make some noise when in operation. Some models produce more noise than others. When purchasing a heater, consider units that are non-fan-forced such as an oil-filled radiator or a baseboard heater for silent operation in environments that are quite such as your office or your bedroom. Home heaters can either be electric or gas. These are usually cheaper, portable, and a better option if you do not intend to use them for long periods or in large spaces. Electric heaters are ideal for personal use or heating small spaces. Low Installation costs-The cost of installation of electric heaters is low as compared to the cost of installing gas heaters. This is because most electric heaters are single units and require no piping or restructuring the design of the house to accommodate the heater. Efficient- Electric heaters are efficient in the sense that 100% of the energy is utilised during operations as there is no room for energy loss. Flexible- Electric heaters can be termed as flexible since they can fit at any point in the house. There is no need for changing the design to accommodate the heater as it is in the case of gas heaters. Safe and reliable- since electric heaters do not burn fuel to generate heat, there are none of the associated safety risks such as explosions fire and emission of gases. They are also reliable since they are not susceptible to tear as they have no moving parts. The most evident disadvantage of electric heaters is the high cost of electricity. During a power outage, other methods of heating will have to be employed thus not suitable for areas with constant power outage problems. There should be an electric outlet for it to work hence they cannot be used in areas where there is no power line. Gas heaters are driven by different fuels which include Natural Gas, Propane and Kerosene.Natural gas heaters are run by gas which is connected by a pipe from a gas tank. Most of these heaters have flues which are used to channel all the fumes produced outside the room, however, some portable gas heaters have no flues and in turn, contain sensors which can detect when the air becomes stuffy and in turn shut down. Vented gas heaters are those that have a flue that carries exhaust gases from the heater to the outdoors. These are ideal for indoor heating as they ensure all emitted fumes leave the room to avoid breathing complications that can arise from gases such as carbon monoxide that is emitted when gasses are burned. The main disadvantage of this kind of heater is that it is not flexible regarding installation. Non-Vented Gas Heaters are normally used for outdoor heating because they can emit gases such as carbon monoxide which can cause breathing problems when used indoors. They are suitable for use in poaches and backyards. Low operating cost- this can be attributed to the low cost of gas as compared to electricity. Can always be relied upon even when there is a power outage. High installation costs– The cost of obtaining piped gas is high especially in areas where there is no piped gas already in place. Installation of a gas heater usually calls for some design changes which ensure the tanks and the heaters are accommodated into the current house design. Can cause environmental hazards if not properly installed- gas heaters are prone to the emission of gases such as carbon monoxide which can cause environmental hazards when released to the air. Also, there are leakages that are associated with the gas heating equipment. High maintenance costs-Gas heating systems need to be constantly checked for any leakages which in turn raises the cost of maintaining the gas heating system. These heaters are electrically powered but use the oil as a heat reservoir which is in turn heated by the heating element. The heat emanating from the oil diffuses to the casing and then to circulating air in the fins. Some column heaters are filled with other material and not oil but work similarly. The oil column heater is very ideal for heating a large room as it works by convection method. The heater remains hot for a long period when turned off. Column heaters are great for heating rooms where heating is needed for a long time or where they will not need to be attended to, for example, at night in a bedroom. The surfaces that you could touch are not as hot as other types of heaters. For faster and evener distribution of heat, you can use a low-speed ceiling fan. They depend on natural convection hence it tends to take longer for air to be heated in a room. If the air movement is limited, for example, if you are in the room watching TV or reading, the heat may be unevenly distributed. Radiant heaters are personal and work by radiating from a heating element. Your family will need to take turns in warming up in front of the heater. They are wall mounted and floor models. They do not heat the room very well. The heating element is relatively exposed and can be a safety and fire hazard. For example, if a paper or piece of cloth dropped in, it would light up; small children may get burned if they play too close to the heater. Price: From $20 to $200. These are usually similar in shape as the column heater albeit thinner. Their panels have mineral mica surrounding the heating element; heat is absorbed by the mica and then radiated evenly. This enables the heater to warm the room more efficiently and much faster compared to the element alone. You can utilize a ceiling fan at low speed for faster and more even heat distribution. Some models, especially panel heaters, are quite expensive to purchase. How can I tell if my gas heater is efficient? When your gas heater is installed, insist that the models selected by the contractor are in a range of efficiencies. The contractor should help you calculate the estimated annual operating cost for the model you want to purchase. The calculations can be completed by plugging information on the model’s electrical consumption and AFUE, utility rates in your locality, and your home characteristics into computer programs that will calculate the estimates. Ensure that the quotes are inclusive of the cost of any alterations to venting that is needed by any home appliances. Electric heating is controllable with energy consumption that is low. There are cheap and perfect temperature regulation option that enables adapting to changing economic and family conditions. Is an electric fireplace difficult to install? No. Most models run on the 120-volt home standard electrical circuit. Therefore, no further wiring is needed. You only need to position and plug in the unit. Can I heat different rooms at different temperatures? Yes! The heat controller allows for different temperatures to be set up to four different house zones. Discuss with the contractor on the rooms that you would like to be included in the zones during the time of installation. Can one controller be used for the entire house? Yes. A master controller that is usually placed in the living room operates all zones. This master controller can remotely switch on or off the heating in other zones as needed. Why does my heater run when it is not programmed? You will need to check whether the time is set correctly; AM or PM. Check the away or sleep temperature that is programmed as it may be set too high, and if so, reduce the temperature. If it still does not work properly, have it checked as it may require servicing.